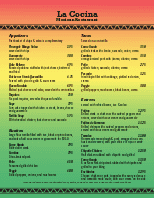 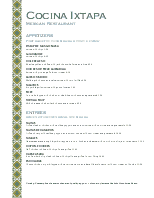 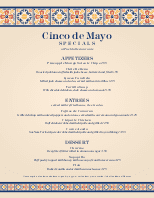 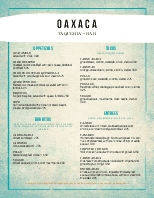 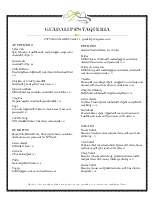 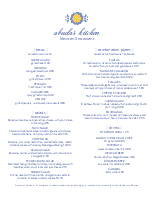 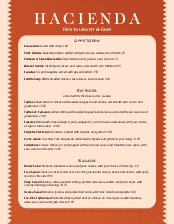 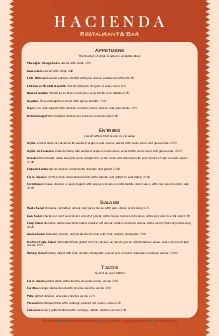 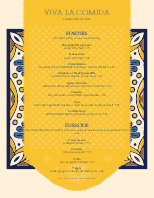 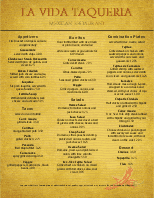 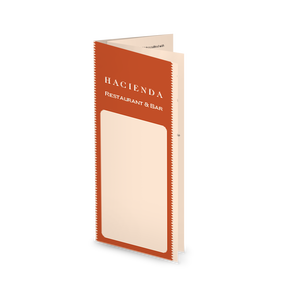 A Mexican cafe menu with an old world Mexico feel and a warm oragne design, presented on a 8.5 x 14 page. 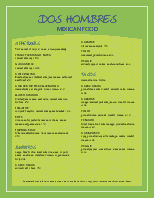 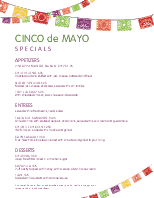 There is plenty of room for Mexican food specialties, such as platos, tacos, enchiladas, sopa y ensalada, antojitos, which are listed down the center of this longer menu. 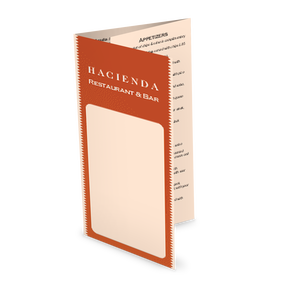 Update this menu online using the Menu Editor.